Find the current Fall & Winter 2018 List of Craft Fairs Here. Shop Local isn’t a thing that we invented. It’s a concept that means something to people all over. No matter where you are there are tons of cool indie craft fairs that have feature amazing handmade artisan quality goods. What’s really interesting is the way that styles can vary from city to city and region to region. Some craft fairs only only strictly handmade goods. Other’s allow vintage clothing and vintage furniture or even fair trade. All of these craft fairs have something truly unique to offer and here are our favorites from coast to coast! If this isn’t the best flyer in the world, I don’t know what is! 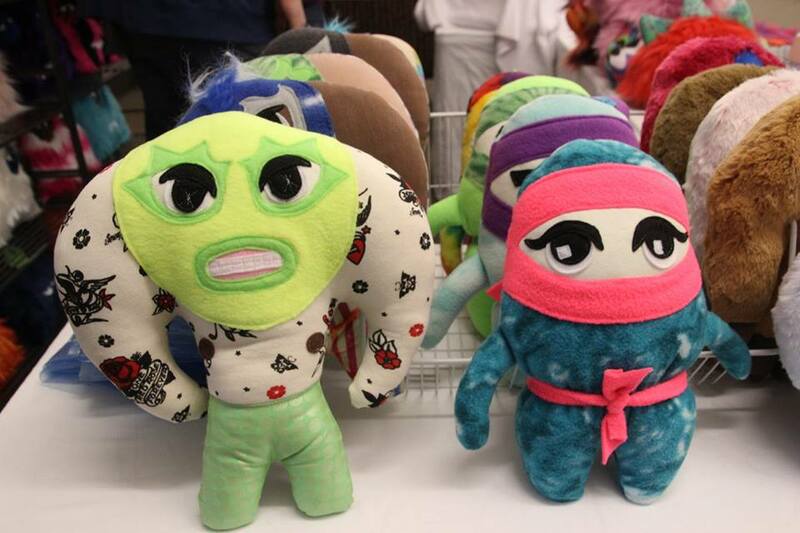 The Unglued Craft Fest takes place at the Plains Museum in Fargo North Dakota. It’s offers over 70 makers of art & handmade goods and is completely free to attend on the second day – Saturday the 27th. The night before is a gala with live jazz, cocktails, and relaxed shopping. 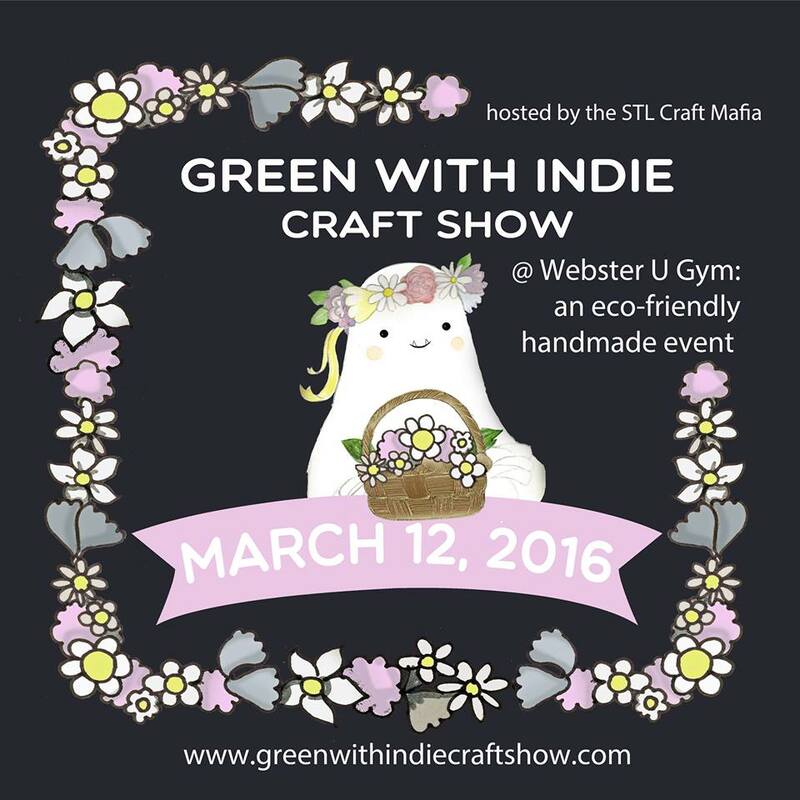 Green with Indie craft show is another event that’s free to attend! It takes place March 12 and the first 100 shoppers will receive a free limited screenprinted tote full of swag, art, and special edition coloring pages! The event will have a complimentary “Craft Yeti” Coloring Tent as well as a selfie station with flower crowns and flower beards. Fleastyle in Dallas Texas has over 250 exhibiting makers and over 100,000 square feet of event space! This craft fair is very unique and even showcases fair-trade and vintage goods. Fleastyle has a special handmade weddings section with vintage bridalwear, calligraphy, and more. Attending this event starts at 5 bucks. 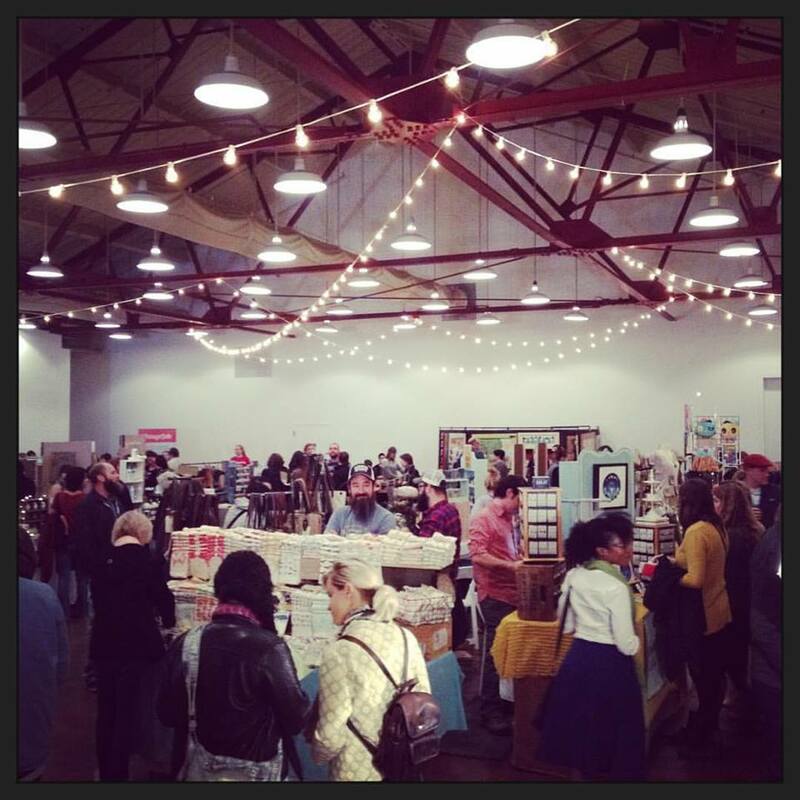 Crafty Mart is one of my favorite indie craft fairs from across the country. 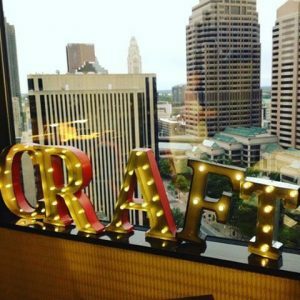 The founder, Brit Charek, is one of the organizers of the Midwest Craft Con and is a really interesting mover and shaker in the craft fair world. 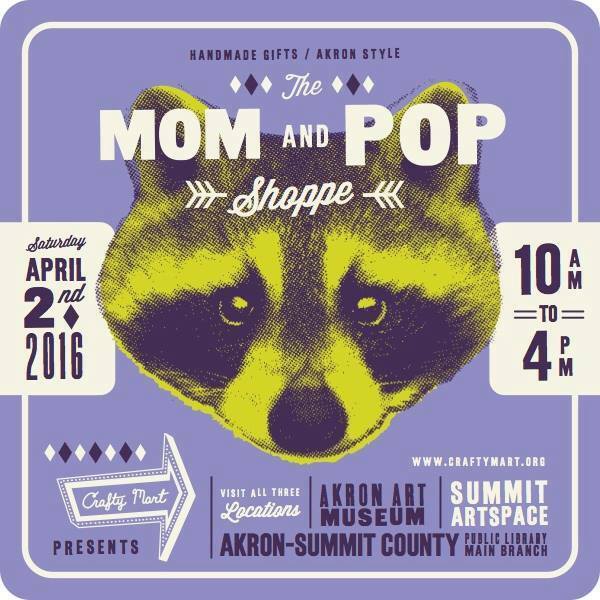 This particular Crafty Mart event takes place at the Akron Museum, Akron Public Library and The Summit Artspace. 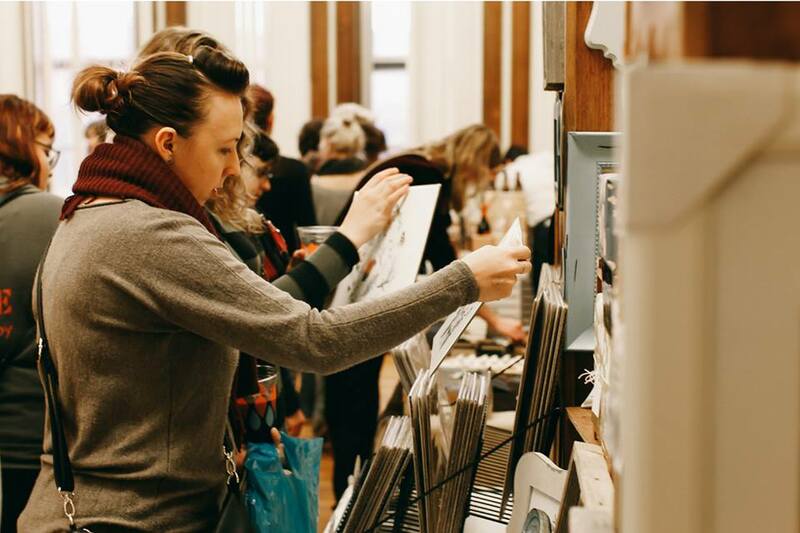 In a lot of ways Chicago is the birthplace of the modern indie craft movement. Their handmade art events bring huge amounts of exhibitors and crowds of happy shoppers. 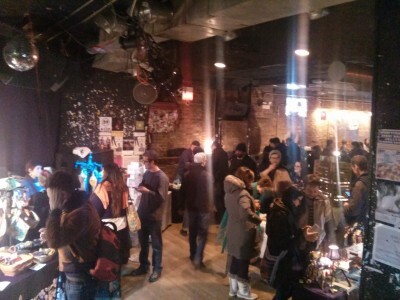 But the Handmade Market Chicago is all about quality over quantity and has 30+ makers exhibiting at their event from noon to 4pm. It takes place at The Empty Bottle and encourages a mimosa or two while shopping. 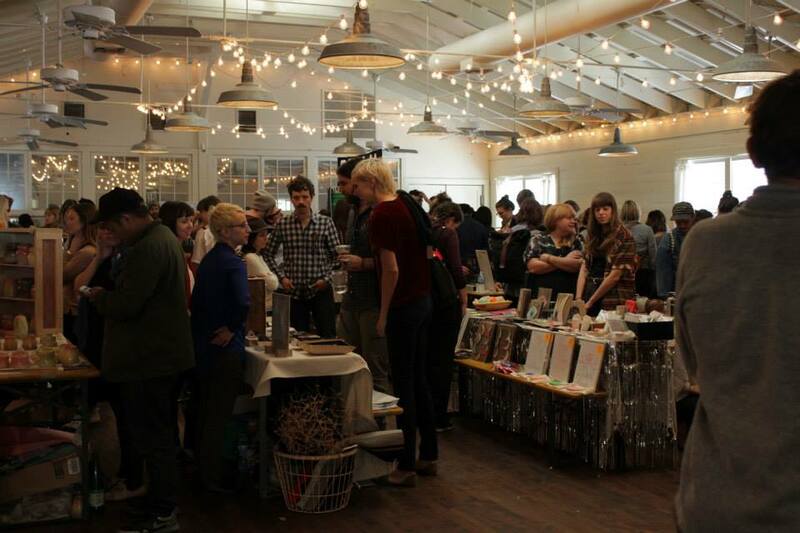 This craft fair is hosted by the super cool feminist magazine Bust. Bust Craftaculars take place in London, Boston, New York, and Los Angeles and this particular market will have lots of free stuff to do. 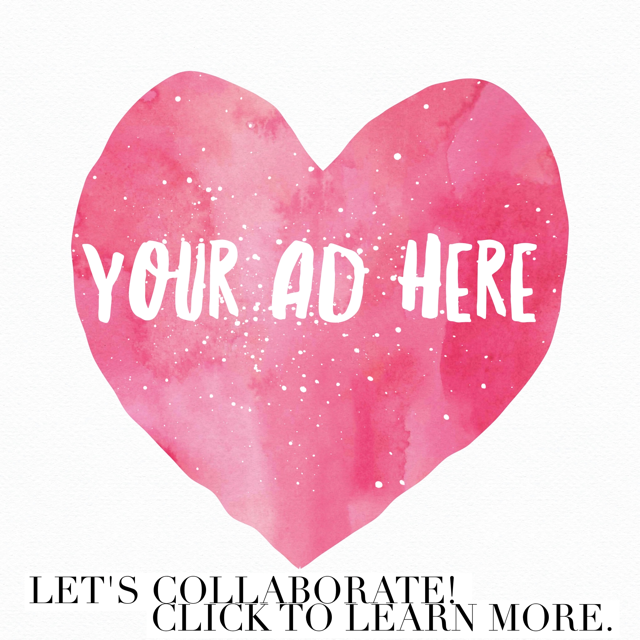 Get pampered for free by indie cosmetic companies, local spas, and stylists. So fun! 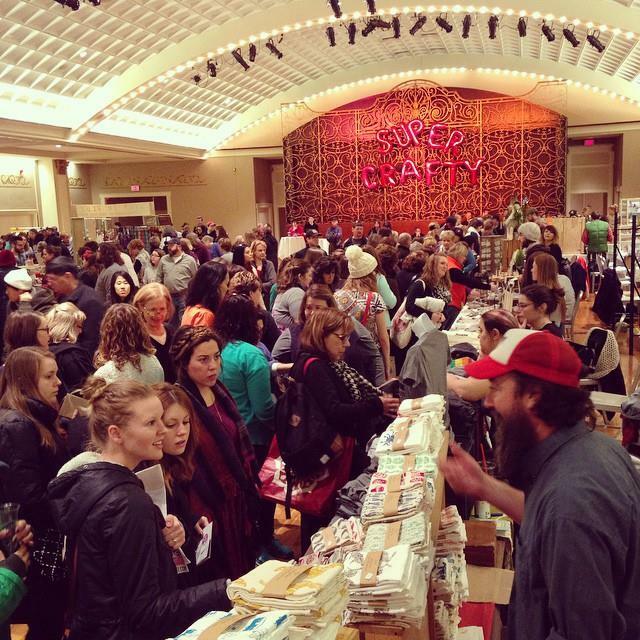 Craftin’ Outlaws in the longest running and largest indie craft fair in Ohio. It’s founded by Megan Green the creator of Stinky Bomb soap company that makes glittery soaps that are shaped like hand grenades. They host a wide variety of styles and lots of different media which you can check out in their links here. 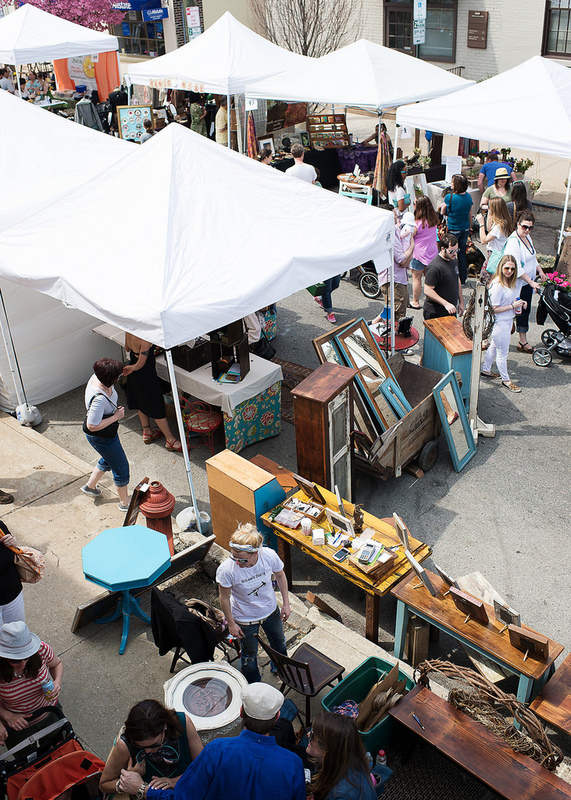 The Go West Craft Fair is an outdoor event that takes place on the west side of Philadelphia. They host over 80 exhibitors and have lots of cool activities like kids crafting, acrobatic performances, and live music. Go West Craft Fair is another free event so join them on April 30th and soak up some sun! The Spring Bloomington Handmade Market is described as their “mini” event and takes place in the atrium of Fountain Square Mall in downtown Bloomington. 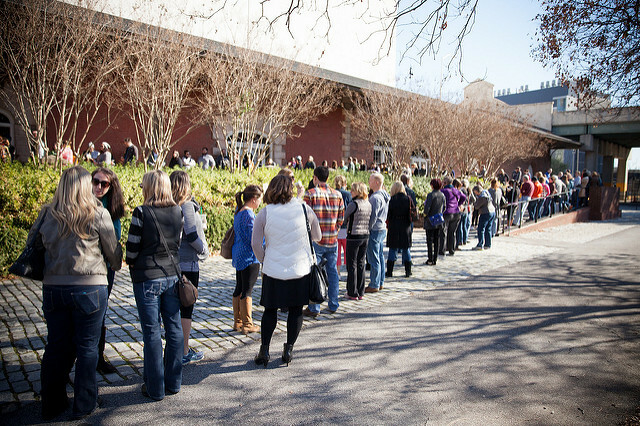 Artists – it may be hard to snag a spot but their booth fee is incredibly reasonable! They have lots of videos where you can see the event live and in action so you can see how special and unique these craft fairs are. The Retropolitan Craft Fair is all about indie but has lots of mid-century, salvage, and vintage items too. The April 30th event takes place at the historic Southern Railway Station a beautiful building that often hosts wedding and formal events. 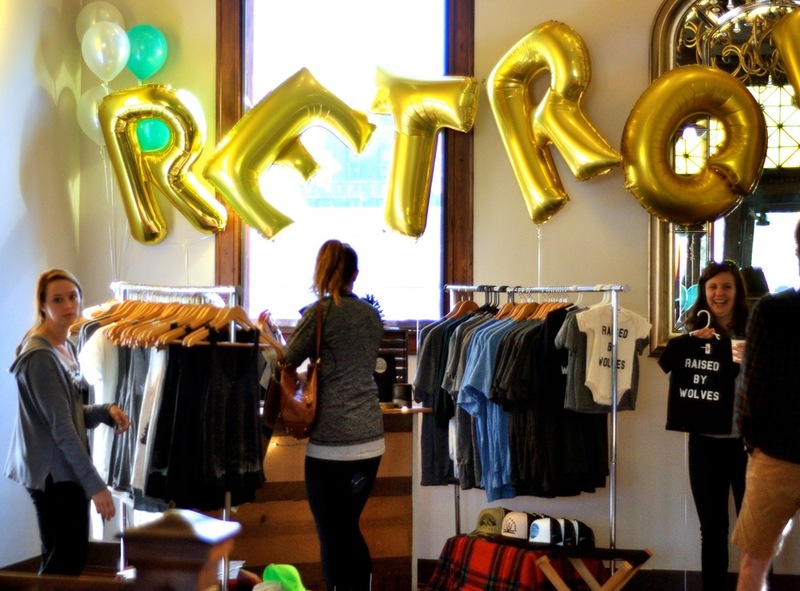 The Retropolitan Craft Fair has super cute branding with a vintage kind of vibe. Unique Market is a very modern and posh pop up market. 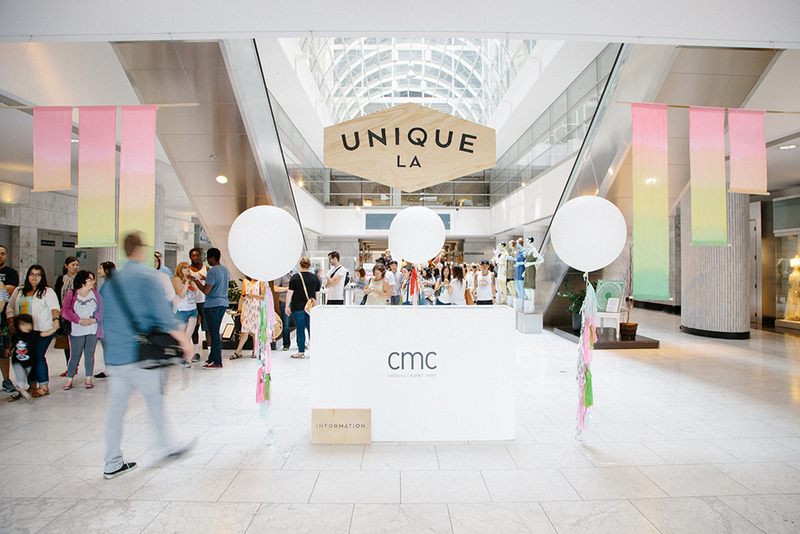 Unique Market events take place in LA, San Francisco and New York and they also host an 80’s style prom inspired by Pretty in Pink and they host free monthly talks by professional artists and makers. Unique Markets started in LA in 2008 and has lots of cool freebies that come with the $10 entry fee. Get free DIY’s, free snacks and drinks, and more. 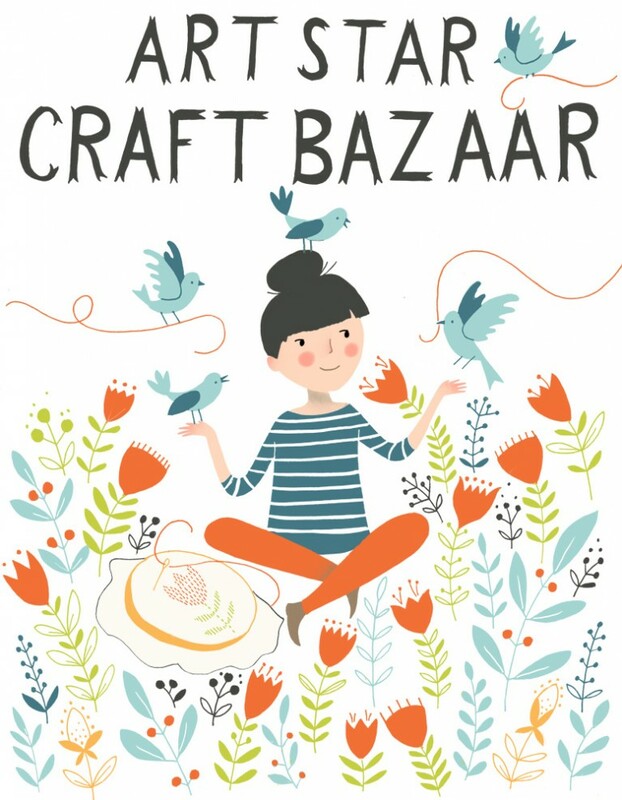 Well this certainly is the cutest name for any art market or craft fair ever! 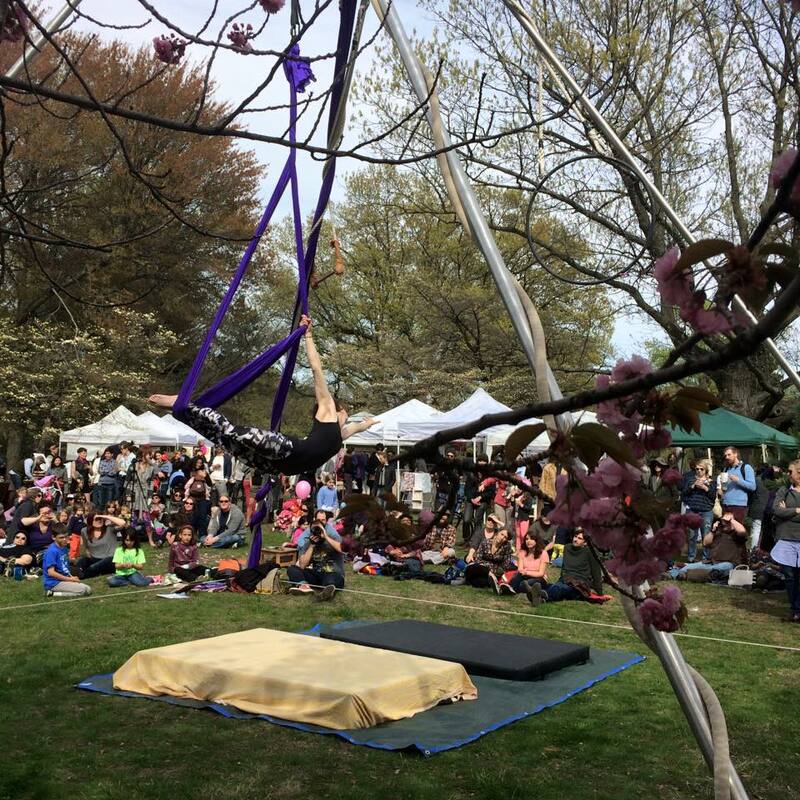 Strawberry Swing is a biannual art event that hosts 4 events a year – spring, summer, fall and winter! Their spring fling has over 95 artists and makers and is in their 6th year of hosting festivals. Even their branding is super cute and in a huge and dynamic art city like Kansas City, you know this event is going to be a blast. The Indie South Fair has events throughout the year like a Back to School handmade shopping event and this one April 30th and May 1st called the Springtacular. 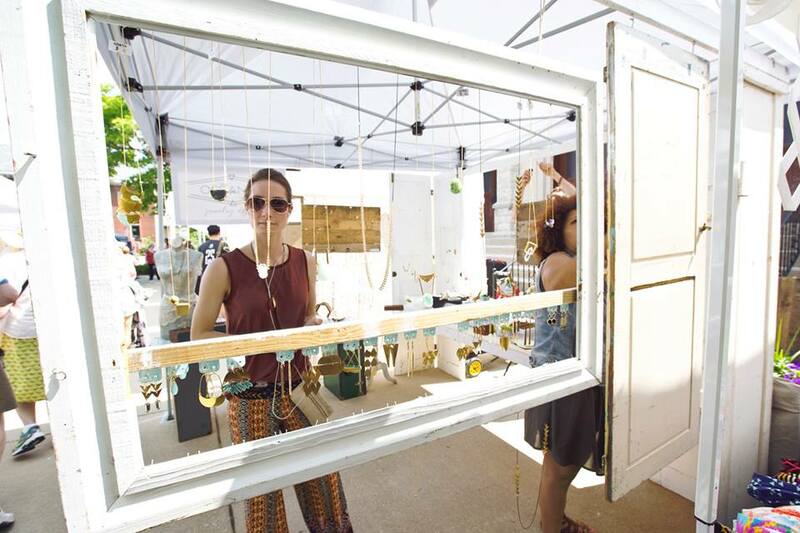 This art festival takes place in downtown Athens, outdoors, with streets shut down. These crafters are in addition to the tons of cool shops in Downtown Athens, which you can learn more about here. Of all the craft fairs I didn’t know about, Southern Makers is the most exciting. It takes place in Downtown Montgomery Alabama and is tinged with some pure Southern Charm. 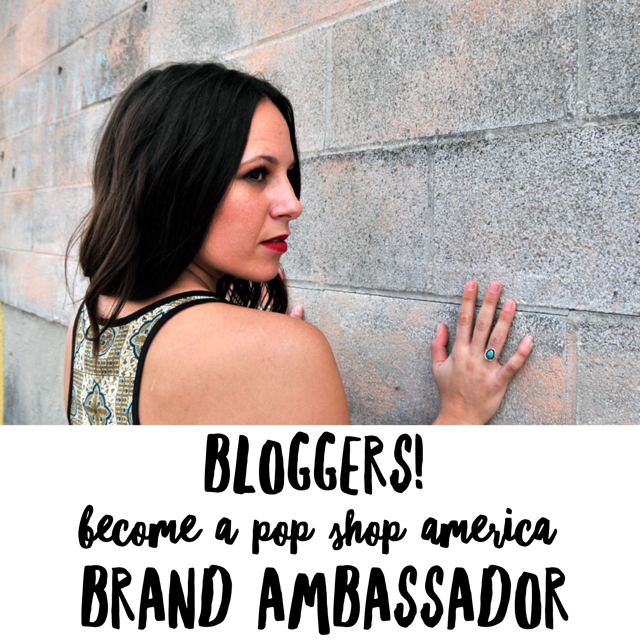 It reminds me a lot of what we’re doing here at Pop Shop America because this craft fair is more like an art festival with lots of music, architecture, food, and fashion. It’s just as much about learning as it is about shopping. Feliz is another extremely well curated and quite refined and modern pop up event. This is a great breath of fresh air in a city that is already so arty and wild like Austin TX. 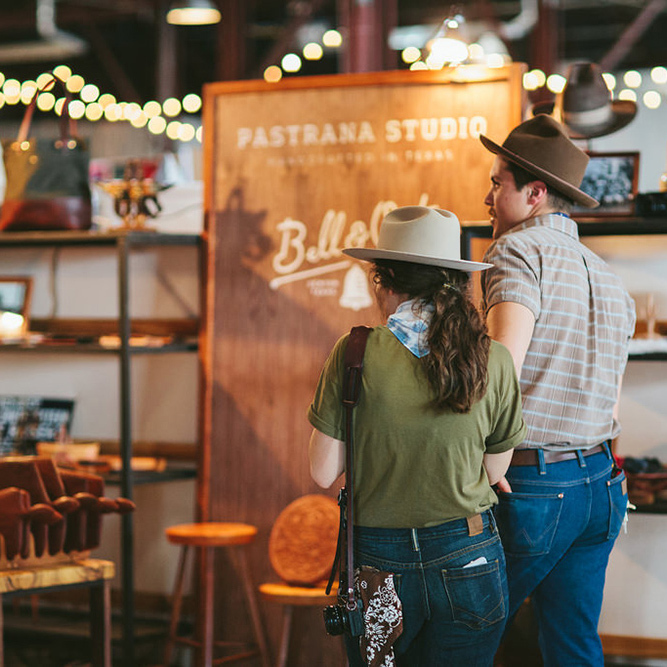 This market takes place twice a year at the Palm Door an event space that’s just a beautiful as the handmade goods being exhibited. 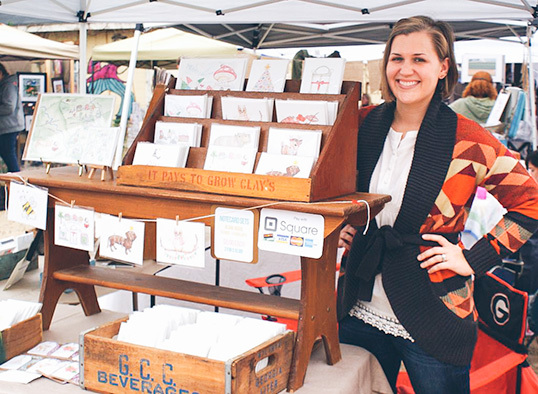 The Handmade Market is a craft fair that has been organized shows since 2006! It is produced by The Handmaidens who also organize a vintage event in Raleigh, NC called Urban Vintage that has it’s own unique charm. Both events are free on Saturday $5 on Friday and take place downtown at Market Hall. Crafty Supermarket is one of my favorite craft shows from across the country. 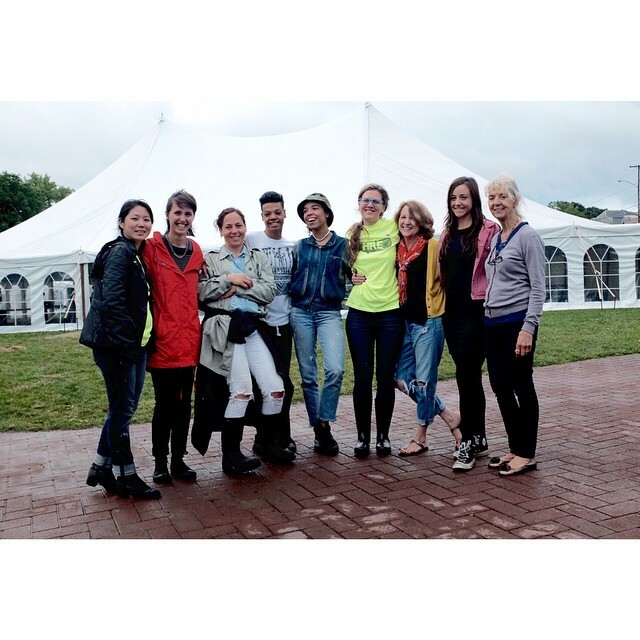 One of the organizers, Grace Dobush is included in some tidbits at the end of this post. 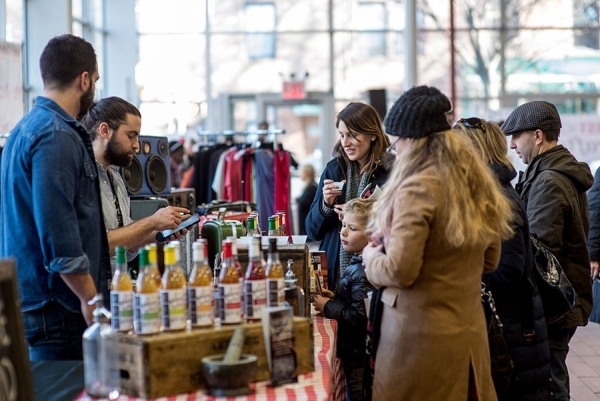 Crafty Supermarket takes place at The Clifton Cultural Arts Center and has thousands of shoppers at each of their two events per year. This art market is in the heart of the Texas Hill Country. 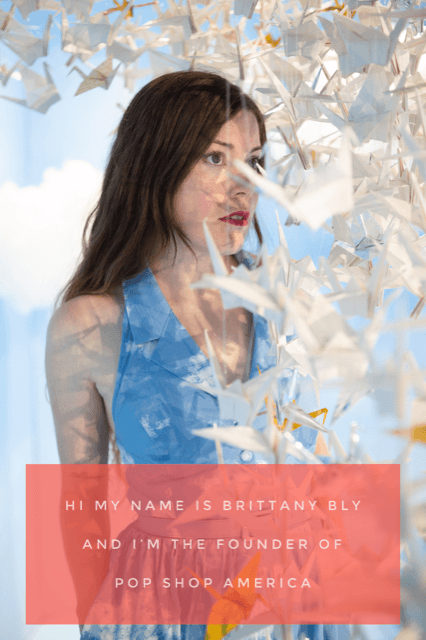 It’s near San Antonio and Austin, which brings a lot of out of town artists with a comfortable, casual, shoppable, small town vibe. This event was created by 2 craft lovers in Boerne in 2012 and they even have a kids market, with items for kids and items created by kid makers, rolling out in 2016. May 7th is going to be a hot day for indie craft all over the country! 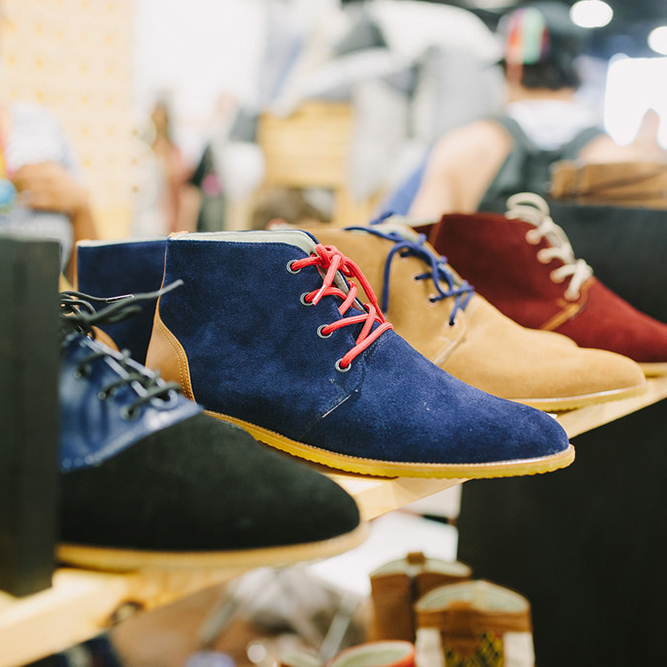 Don’t miss out on one of the oldest and coolest indie craft fairs produced by Bust Magazine in LA. This event usually has a small admission free with lots of free activities and things to do. 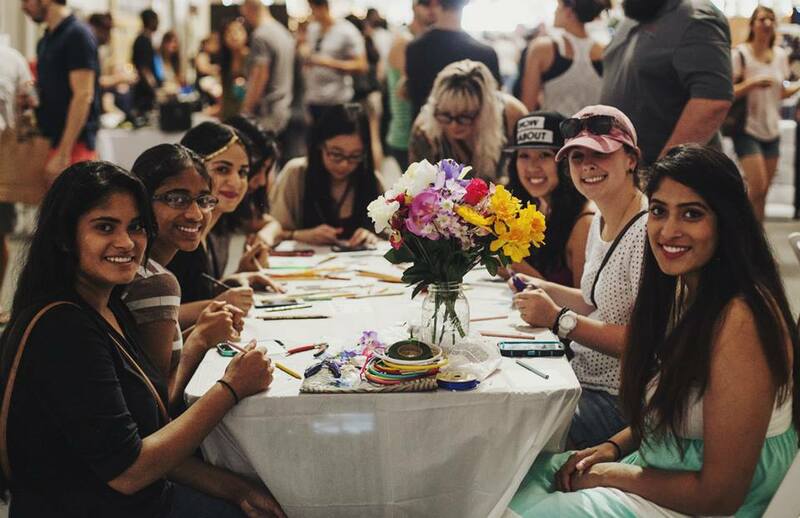 At almost every Bust Craftacular, the first 100 in line get a free copy of the magazine. The Makers Mart in Toledo Ohio opens at 10am and closes at 8pm so regardless of your schedule, you can attend this art fair! It features over 70 makers and includes food, food trucks, and lots of media beyond handcrafted goods. Handmade Toledo also have a handmade boutique, event space that you can rent for other events, and teaches workshops too. Art Star Craft Bazaar consistently has some of the coolest poster art of any indie art festival across the country. This event takes place at Penn’s Landing which is at the center of Philly along the Delaware River. The location is a beautiful outdoor venue and the event is free to attend. 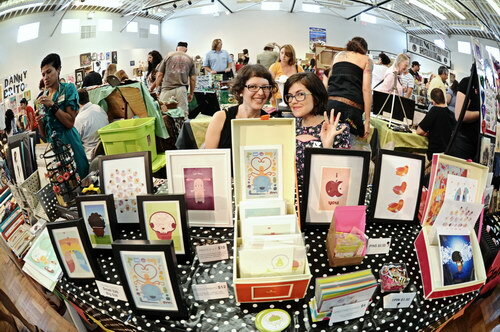 Echo Park Craft Fair takes place at the super cool Mack Sennett Studios in LA. It describes itself as “relaxed, artful California bohemian” in style. One of the creators, Beatrice Valenzuela, has had great success launching her handmade shoes which was a big inspiration the founding of Echo Park. They are maker focused and inspired by helping their fellow makers. 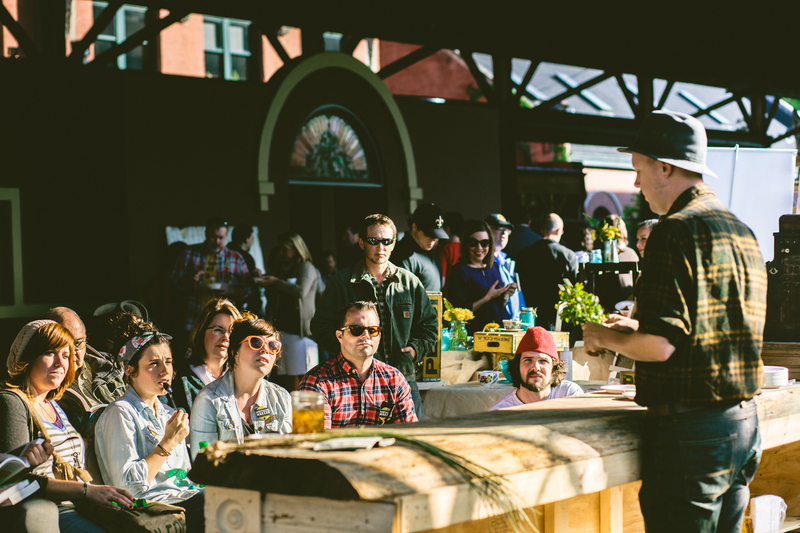 Basilica Farm & Flea May 7th & 8th is the inaugural event focused on food, farms, vintage, as well as handmade. 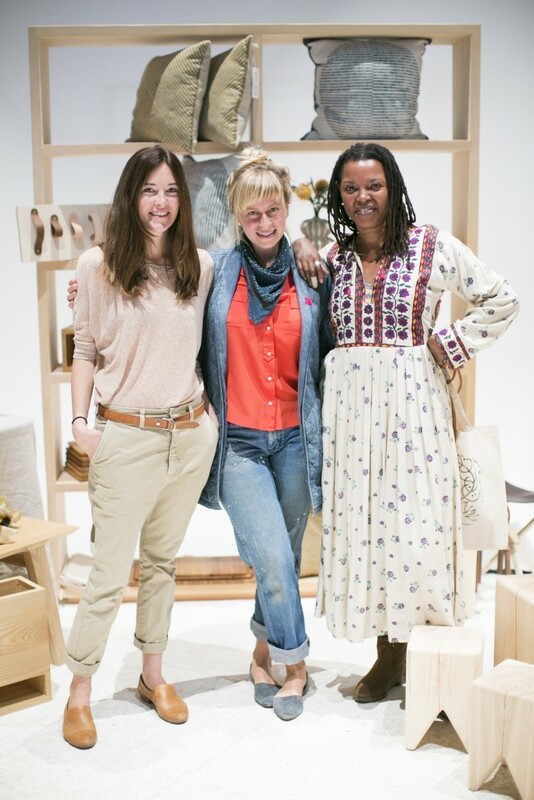 It is by the creators of Hudson River Exchange, the Basilica Farm & Flea sister event. Expect to see a Maypole, wild edibles, and spring dresses. 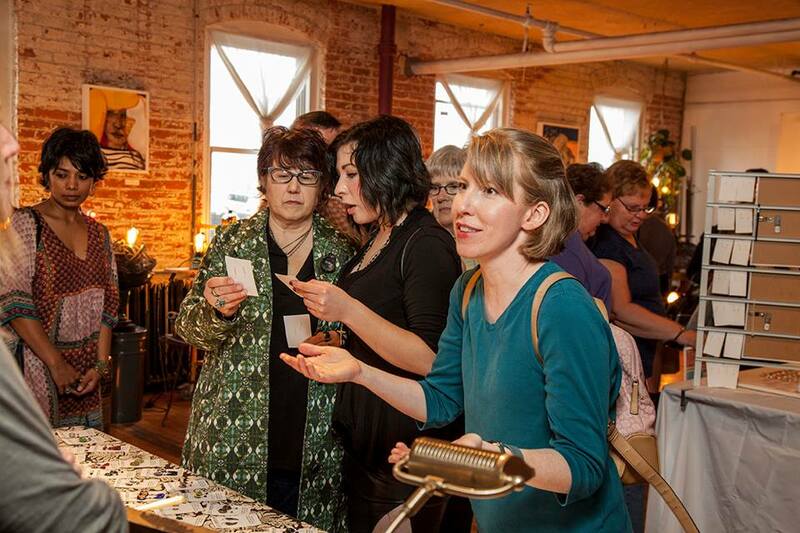 Find out more about the Hudson River Exchange a maker focused event here. Art Rocks is created by the indie craft show hosts Stitch Rock and is just as much art show as it is an indie craft marketplace. 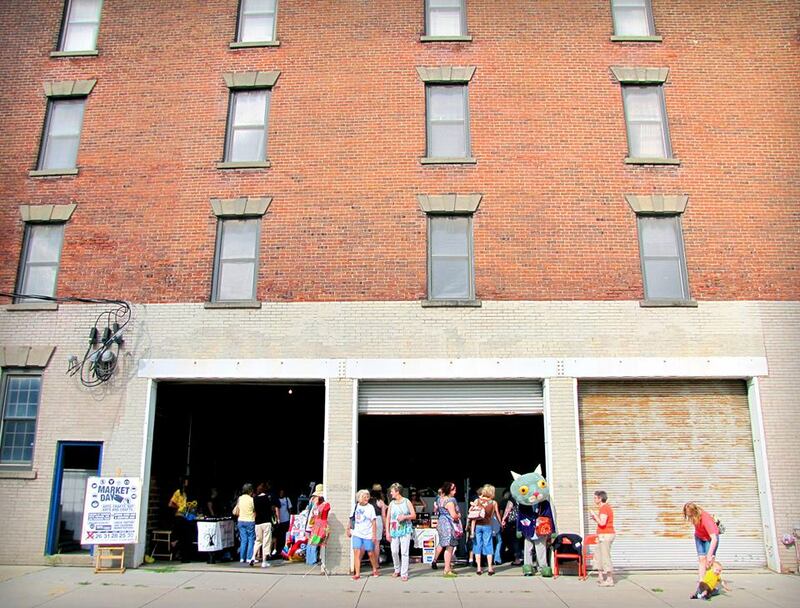 The event is from noon to six and features pop art, comics, lowbrow and kitsch art and takes place at the Armory Art Center. 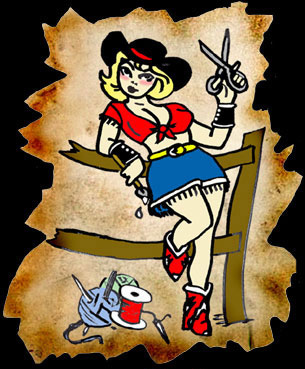 Stitch Rock also hosts the Retro Indie Marketplace that features vintage goods, the Downtown Open Market that takes place in downtown West Palm Beach FL, and monthly tattoo and art shows at Slushbox Gallery. The Cleveland Bazaar has a cool history of originally forming as Bazaar Bizarre in Boston MA. 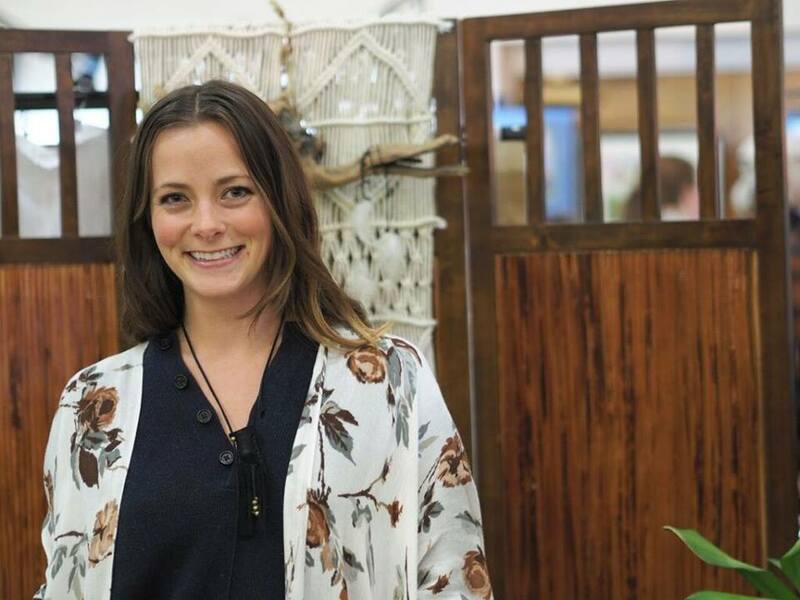 When the founder Shannon Okey moved and took her business with her. The Cleveland Bazaar has been hosting shows since 2004 and hosts shows throughout the year including this May event and an annual event on Small Business Saturday (the Saturday of Black Friday Weekend). 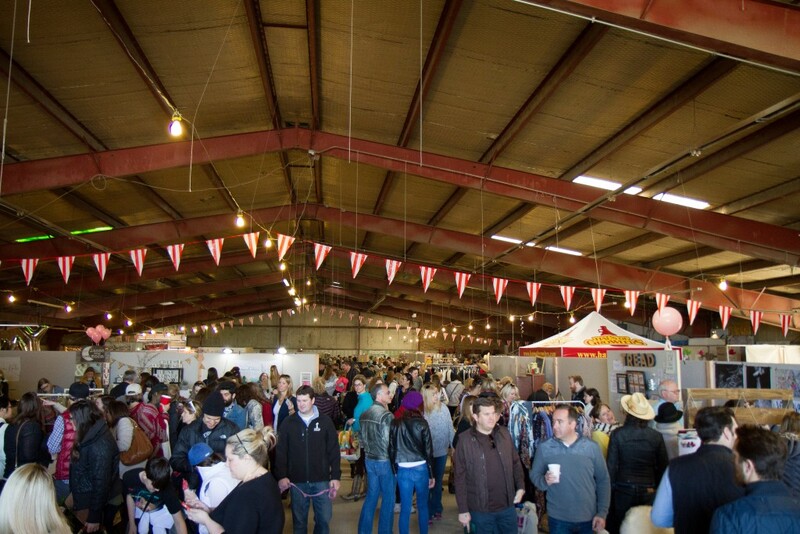 Renegade’s Austin event just recently moved to The Fair Market on the East Side of Downtown. This event includes indoor and outdoor festivities in a city that’s all about handmade! 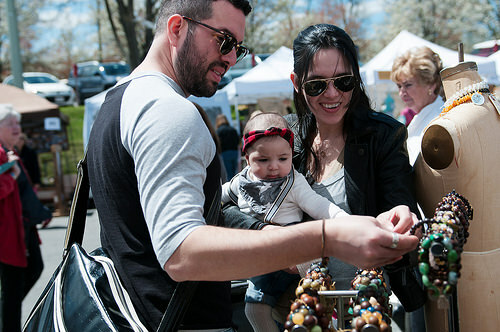 This handmade market takes place in Bryn Mawr but The Clover Market also hosts craft fairs in Chestnut Hill and Collingswood New Jersey. It takes place outdoors and includes lots of antiques and vintage collectors. They have been hailed as the “Best Vintage Market” from Flea Market Style Magazine and “Best Flea Market” by Philadelphia Magazine. 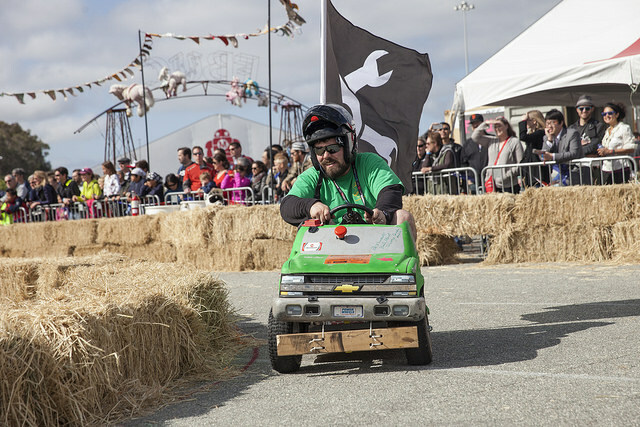 The San Mateo Valley is one of two Flagship Maker Faire locations. This 3 day event is huge with 10s of thousands in attendance and dubbed “the greatest show and tell on Earth”. There are several different areas of the event that are specifically handmade, craft, and art Etsy-like sellers in addition to art cars, life size mouse traps and other crazy projects. This 3 day Renegade event has a wholesale component and takes place indoors at the Brooklyn Expo Center. 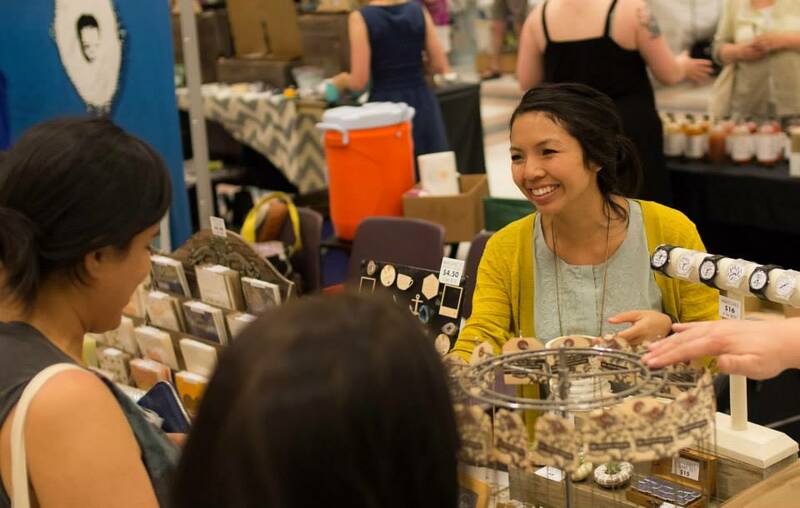 This is their 12th year in Brooklyn and this craft fair features over 200+ exhibiting makers. 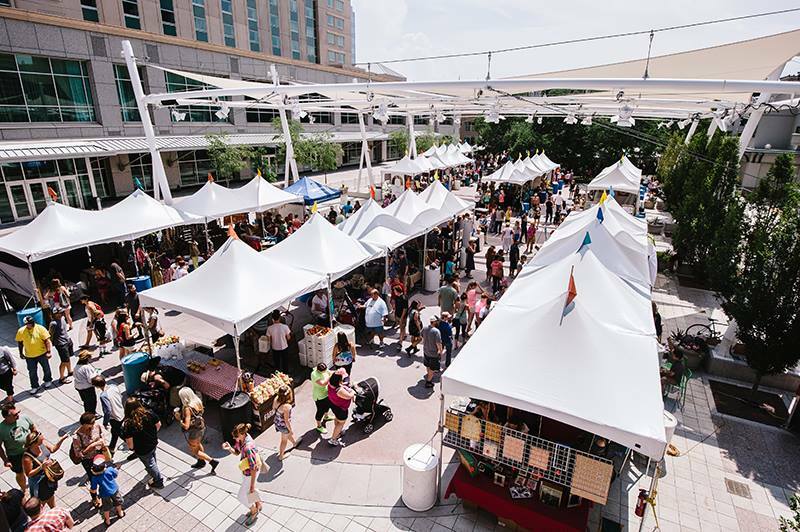 On May 21st join Market Day at the Downtown Capitol Square Atrium for their curated pop up market. 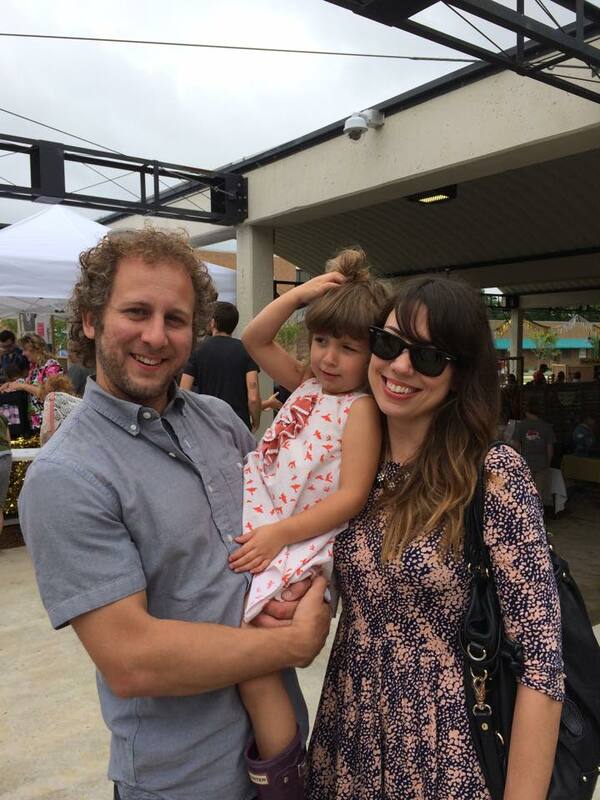 The market is founded by Dani Ausen a jewelry and accessories designer and painter Cat Rocketship. Their backgrounds help them stay maker focused and attract cool artists from all over Iowa and from surrounding Midwestern states. Firefly Handmade is a handmade only event – no antiques, no vintage, strictly handmade. 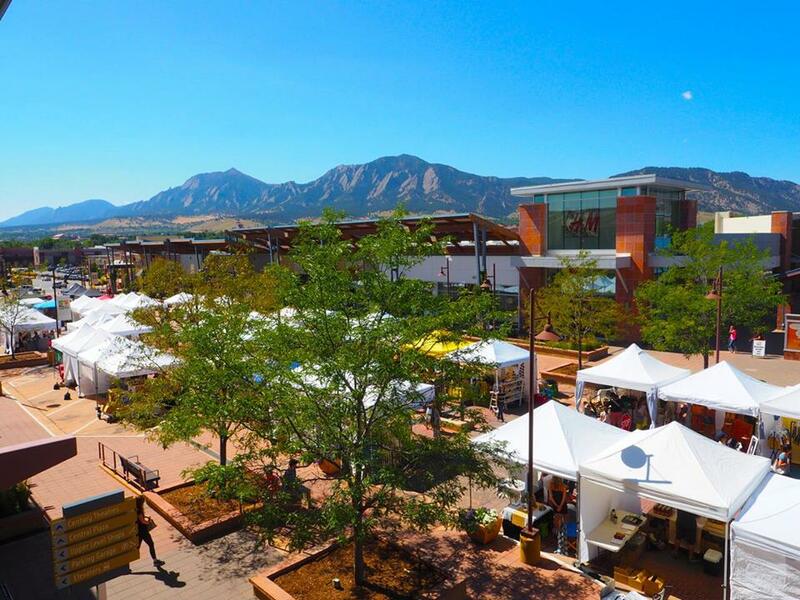 It features over 100 indie makers, artisan lead workshops and is outdoors in the beautiful scenery of Boulder Colorado. 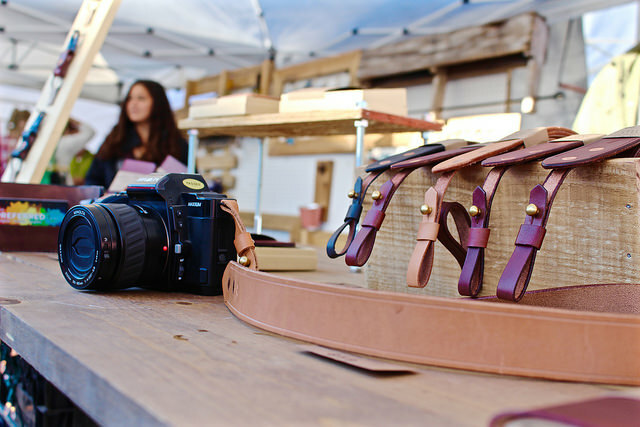 Their commitment is to show event attendees that each maker has a story and each product has a authenticity and soul. 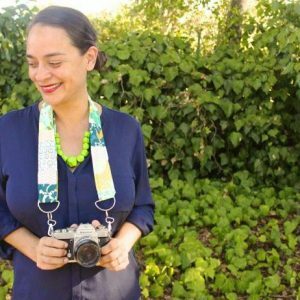 The organizers of the Patchwork Show also produce a Craft Making & Business Retreat called Craftcation and a podcast called Dear Handmade Life. The next Craftcation is April 7th – 10th 2016 and you can read more about the Dear Handmade Life podcast and find episode links here. Crafty Wonderland is hosted by a craft and art shop in Portland Oregon. This event is epically huge with hundreds of different exhibitors at the Spring Event that they call “The Super Colossal Spring Sale”. Each event also has a kids area where young makers sell their goods! 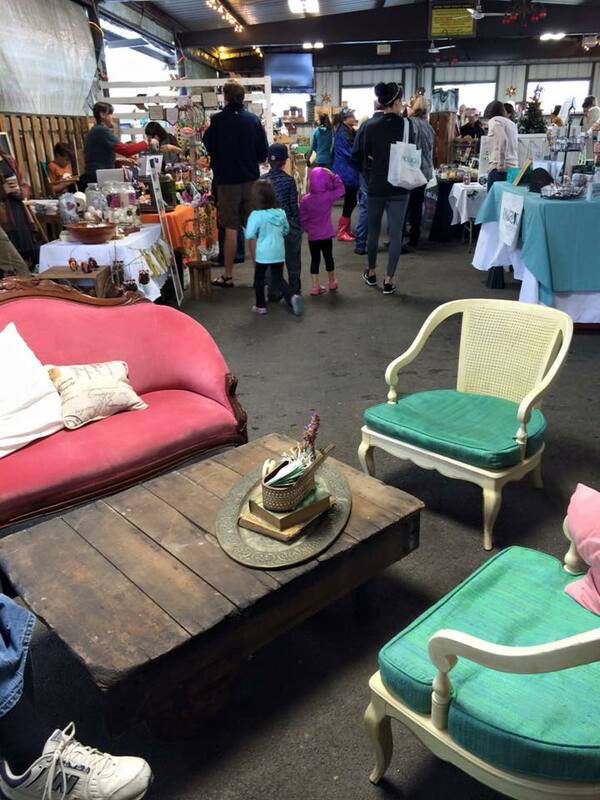 This is the second spring and summer market for The Clover Market in Bryn Mawr PA. Don’t miss out on this flea inspired market that’s been hosting events since 2010! Each event has over 100 exhibiting makers and lots of sunny good vibes. This is our event and it’s a blend between a craft fair, art festival, and maker faire. 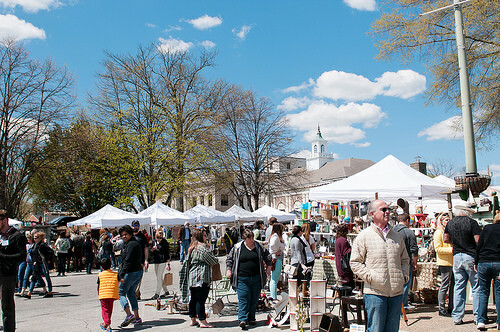 There are lots of shoppable handmade goods in addition to the hands on art making activities, visual art exhibitions, craft cocktails, and more. 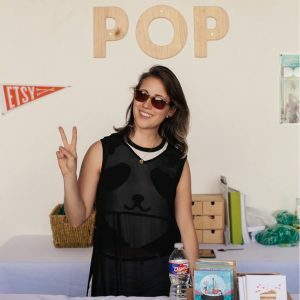 Pop Shop Houston takes place twice a year and is diverse as the city of Houston itself. 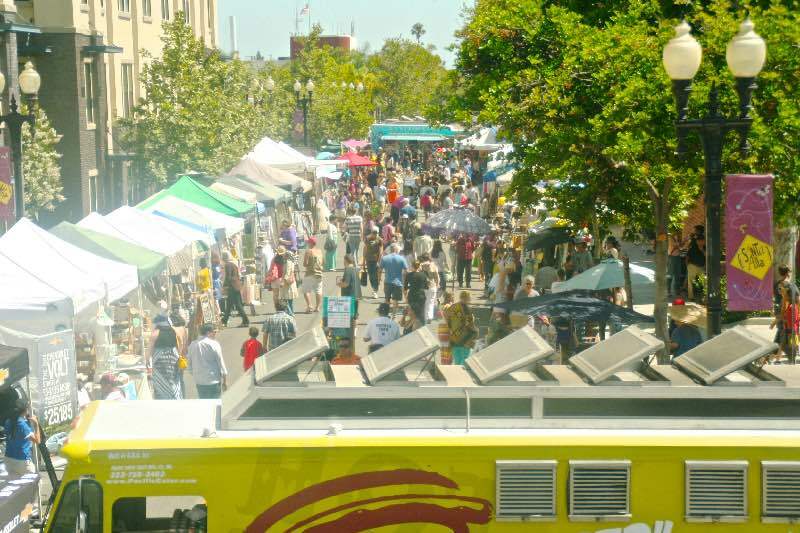 Long Beach is the last stop on the Patchwork Show’s tour of California. It takes place at Marine Stadium – where the first manmade rowing course in US exists! Don’t miss this fun in the sun. This is Pop Shop America’s last event of the season and a perfect way to shop for guys right before Father’s Day. This event takes place at Buffalo Bayou Brewery a craft beer company and has lots of fun stuff like a mustache contest and burlesque performance. 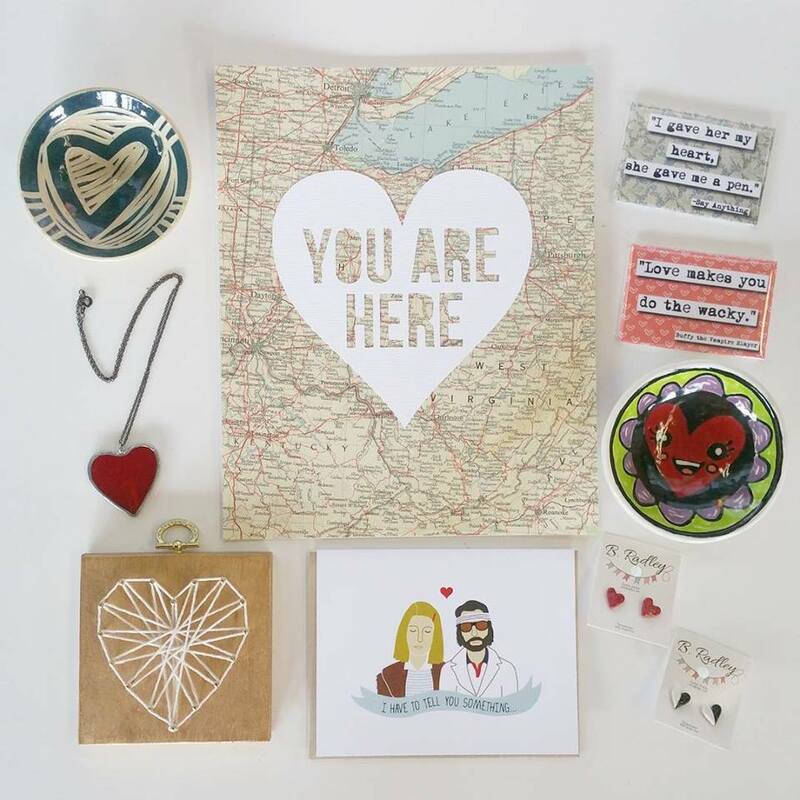 All of the handmade craft goods exhibited are perfect for guys like men’s grooming products, t shirts, bowties and neckties, vintage clothing and more. The Clover Market hops on over to Collingswood New Jersey for their last event of the season. Collingswood is in Camden which is actually only about 5 miles east of Philadelphia and 35 miles from Trenton. So this event is ideal for those who live in lots of nearby areas. The organizers of this craft fair met at a super cool indie boutique called Young Blood Gallery that has recently transferred ownership. I got to go there one time for Heavy Metal Yoga – no joke it’s yoga that you practice while listening to metal. It was amazing. This event is hailed as one of the “20 Best Things to Do in Atlanta” and offers a rich and eclectic sampling of Atlanta handmade and vintage. 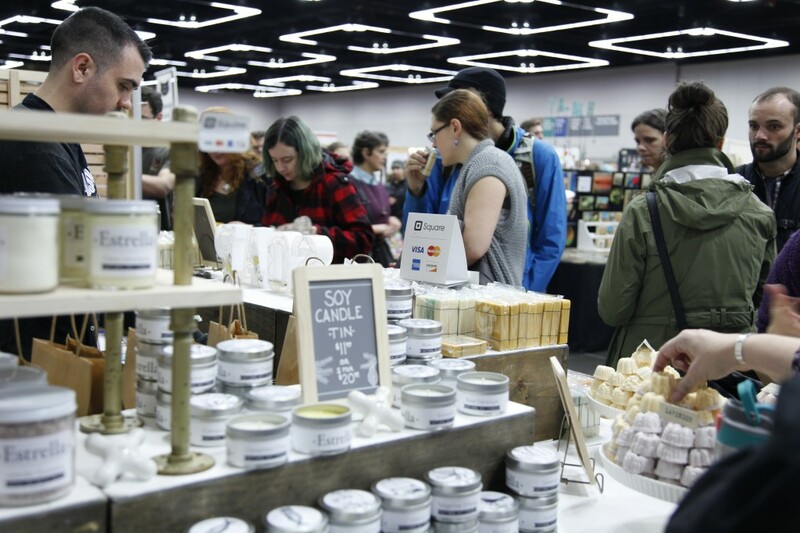 Urban Craft Uprising is Seattle’s largest craft fair and has over 16,000 people that attend per event. Wowie Zowie. The variety is really amazing with items ranging from preppy and boho, to goth and artsy and so much in between. This is one of the oldest shows around too and started in 1995! 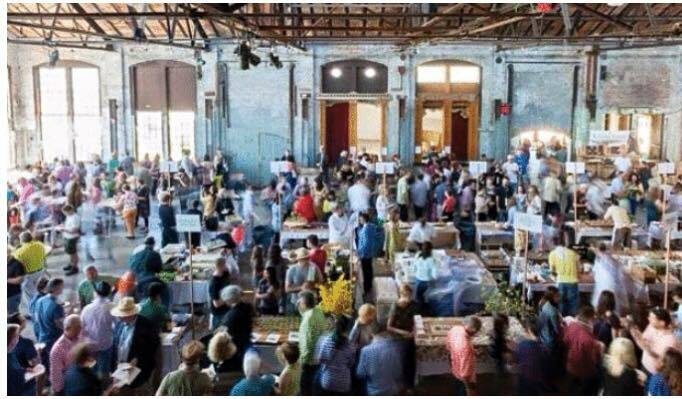 This is the indie craft sister event to Basilica Farm & Flea. Even though this event is new, don’t underestimate the passion and ambition of the organizers of the Hudson River Exchange. I get to chat with them regularly and think they are STELLAR. This event is outdoors in absolutely gorgeous weather making this event stroll-worthy and fun. 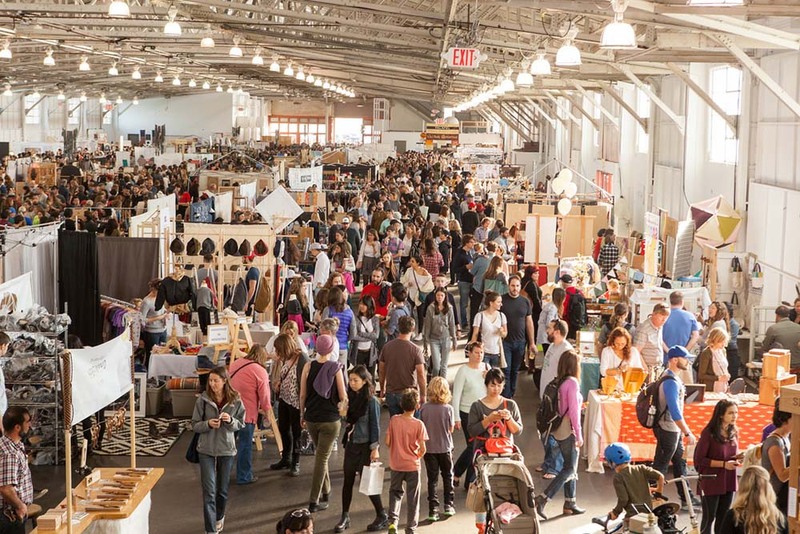 Renegade Craft Fair San Francisco is known for being one of the best Renegade’s across the country and this year takes place at the Fort Mason Festival Pavilion. This event is indoors with over 300 exhibiting makers. Firefly Handmade is back for their summer event. If you remember from the events in May in this same blog, Firefly Handmade is the only of these shows that is strictly 100% handmade. No vintage. No antiques. That makes this event truly unique and in a beautiful city like Boulder, you can’t go wrong! Craft Lake City is another one of my favorite picks of any of these modern craft fairs. This event calls itself a “DIY Fest”and is one of the biggest art festivals/craft fairs in the country. It has over 40,000 in attendance and over 200 makers that exhibit. It also features live music, kids activities, dance performances, cocktails, and more. 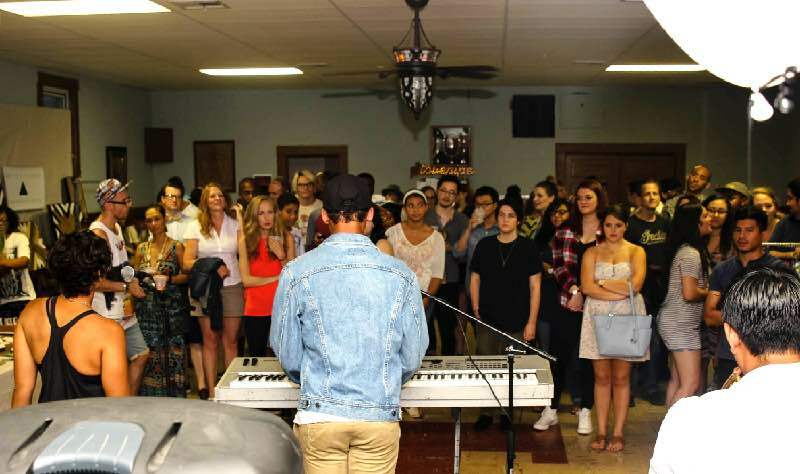 DIYpsi is all about showcases the beautiful, interesting, growing talent in Ypsilanti Michigan and is organized by 3 visual artists/crafters. Ypsilanti is only about 30 minutes away from Detroit. This event takes place at ABC Microbrewery, a local craft beer company. This entry was posted in Business, Travel. Bookmark the permalink. Wow those are a lot of craft fairs!! I dont see any in Atlanta (sad face). I would love to attend one of these fairs looks super fun and interactive maybe I will take a trip to one! ICE Atlanta takes place June 25th & June 26th. They are ordered by date! Hope you find it on the list and check it out because it’s one of my faves from across the entire country. The Yellow Daisy Festival (Stone Mountain Park outside of Atlanta, GA) has got to be the top craft festival in the US…it goes for four days (starting on Thursday) every second weekend of September. There are 500 crafters booths, food a-plenty, vendors and sponsors from all over the US and music, music, music. It is so interesting to talk to the vendors and everyone is in such a great mood! It is an experience not to be missed! Hi Sandi! Thanks so much for the info. We’re making our 2018 list now and will have it published soon. I love to go to Craft Fairs in the spring and summer! This is a great list! I am going to be sure to go to the May 7th Crafty Supermarket in Cincinnati OH! I have never heard of it and I live in NKY. Thanks! WOW this is such a comprehensive post detailing all the upcoming fairs there. Regrettably, I don’t live in the USA — but now I wish I do! There are so many amazing things that are about to happen there! Hi Taylor, I’m working on our fall and winter list now! It’s almost ready. If you are looking for a specific city or date, I can list them here for you now.